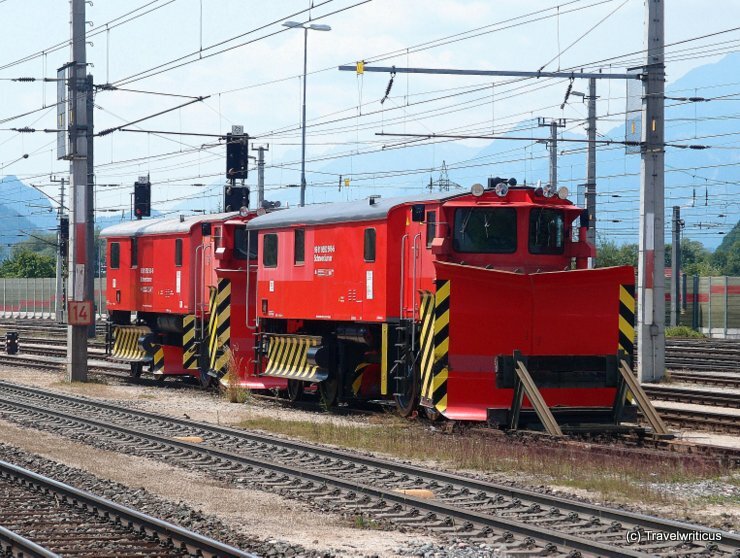 Rail snowplow 9981 9592 506-5 seen at railway station Wörgl in the Austrian state Tyrol. 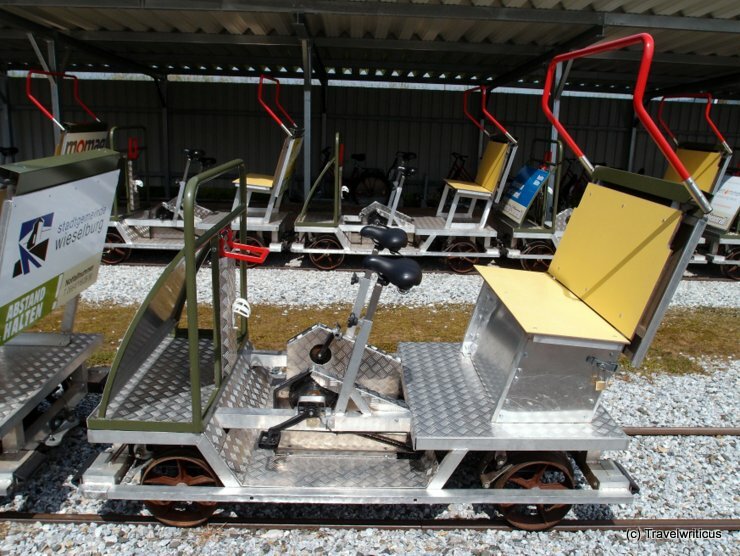 On the tracks of a former narrow-gauge railway between Ruprechtshofen and Wieselburg one have the chance to drive a draisine now. 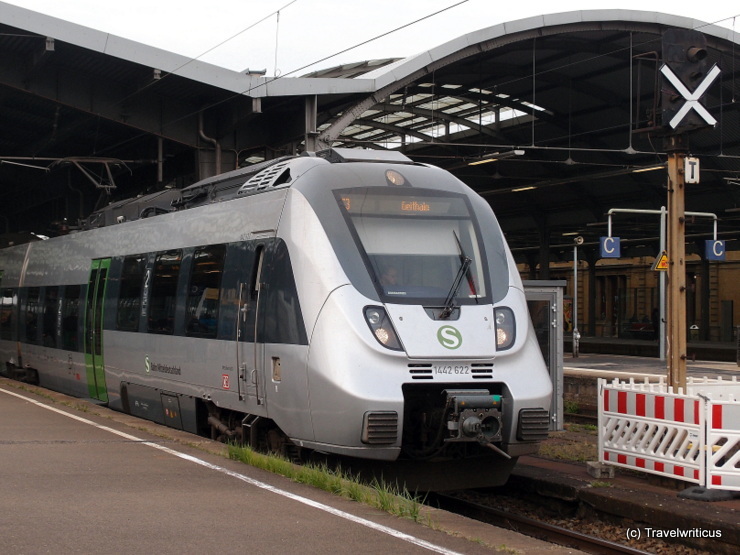 On a line of about 11 km one drive through a small area of swamp and after overcoming a little hill and having a break there one can dashing down to Wieselburg. On my night stroll through the Landschaftspark Duisburg-Nord, an industrial heritage park in Ruhr area, I came across this torpedo car. 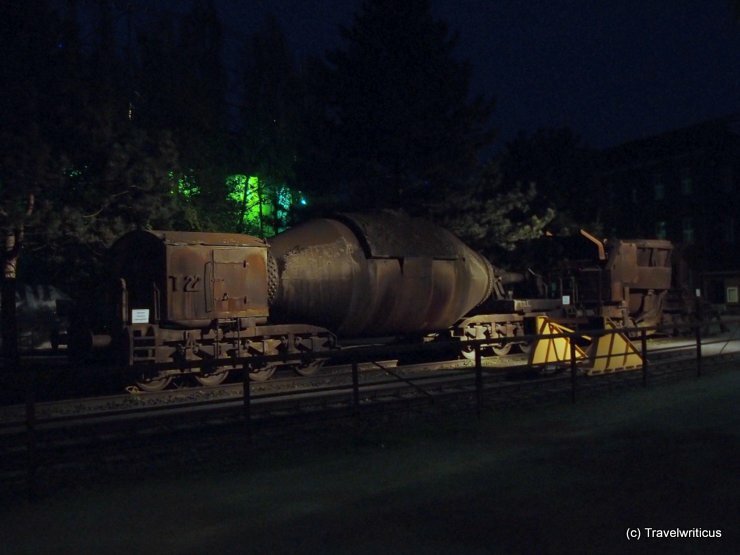 These cars are used for hauling molten pig iron from the blast furnace to the next processing unit. 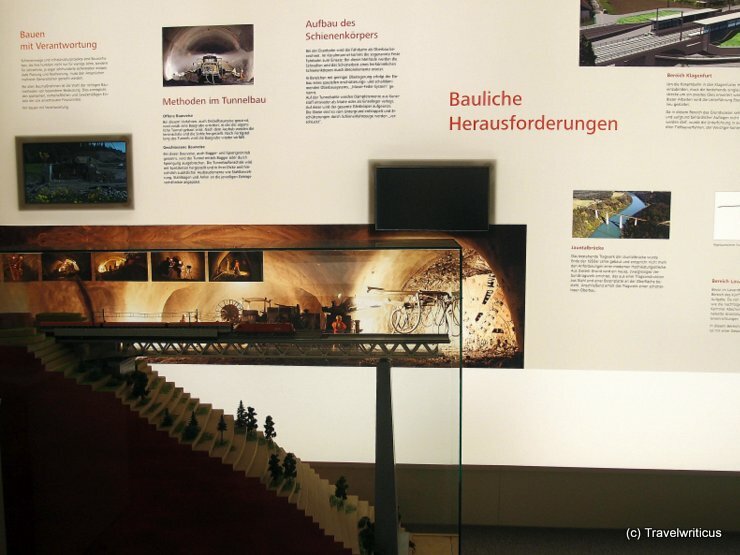 Inside Hauptbahnhof Klagenfurt (Klagenfurt Central Station) there are two small rooms showing information about a railway line project between Graz and Klagenfurt generally known as Koralmbahn (Koralm Railway). 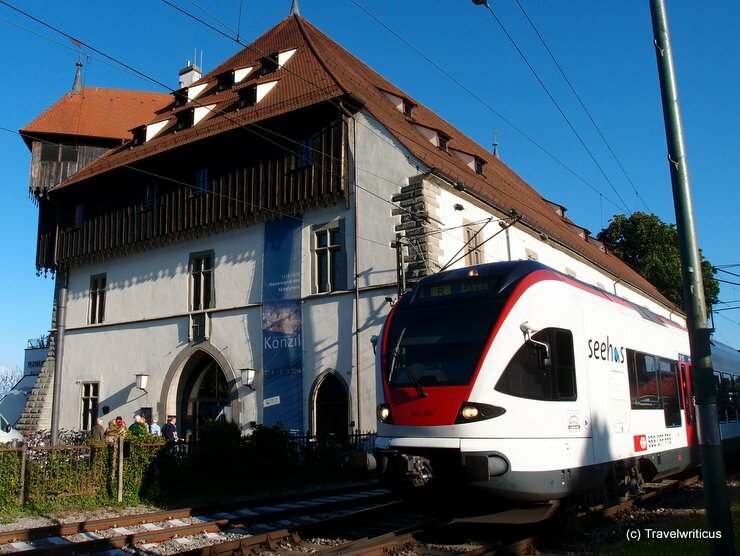 The focus is on the Carinthian part of the line between Lavanttal and Klagenfurt. 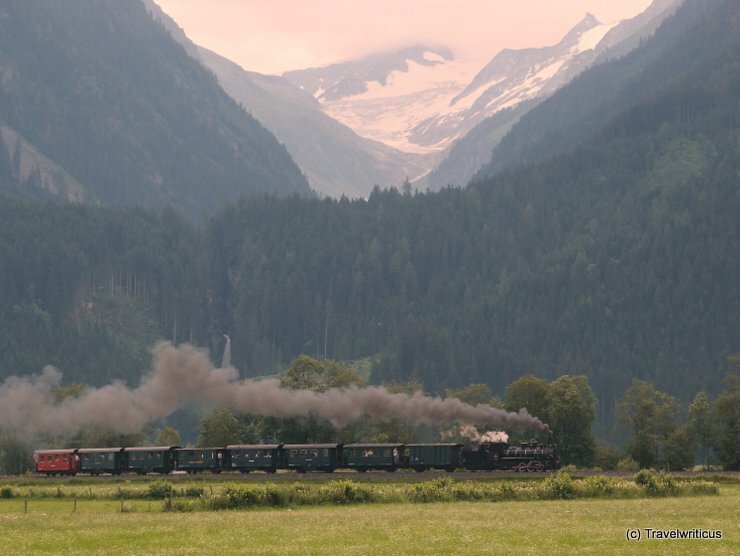 While heading to Gerlos by car I came across this steam train using the railroad of the Pinzgauer Lokalbahn. 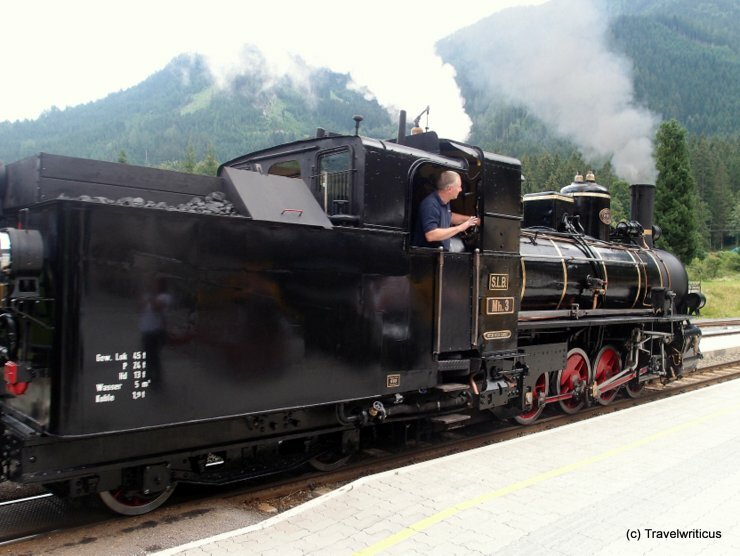 The train maintained by Club 399 was drawn by a steam locomotive named Mh.3 built in 1906. 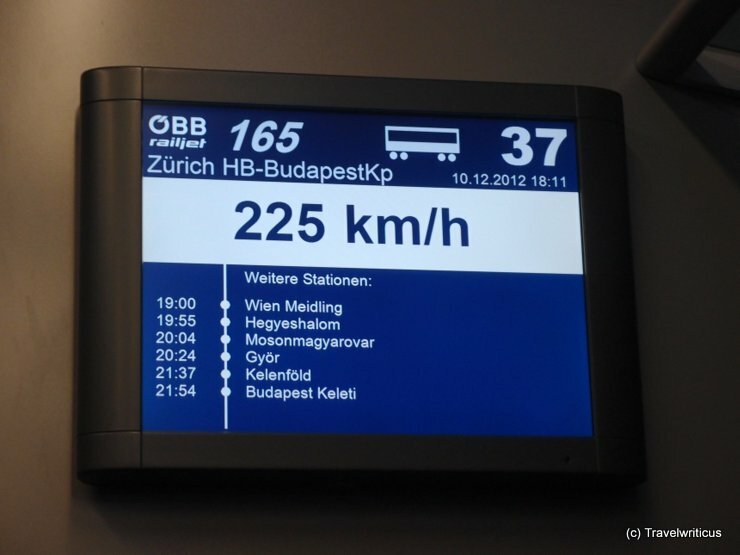 In Austria, many trains are named. 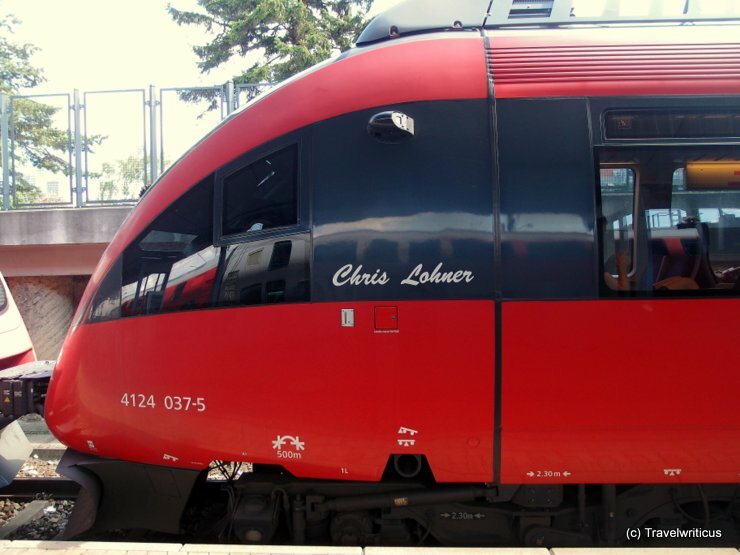 Today I came across a very special name: Chris Lohner. This is that lady whose voice one can hear at the recorded announcements of the railway stations and on the Railjets. Isn’t it lovely to honour her work by naming a train after her?